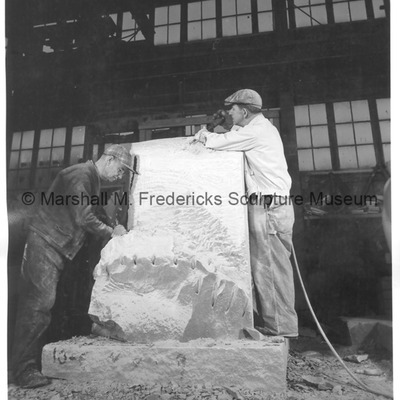 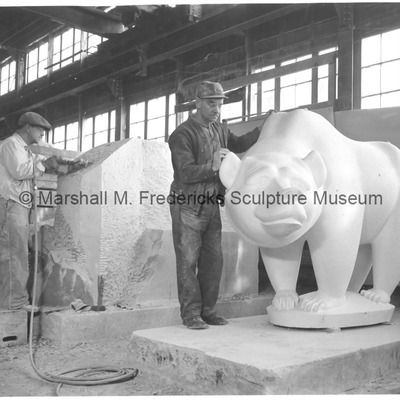 Stone carvers using plaster model as a guide for carving out the rough form of the bear for "The Boy and Bear" from limestone for Northland Shopping Center in Southfield, Michigan. 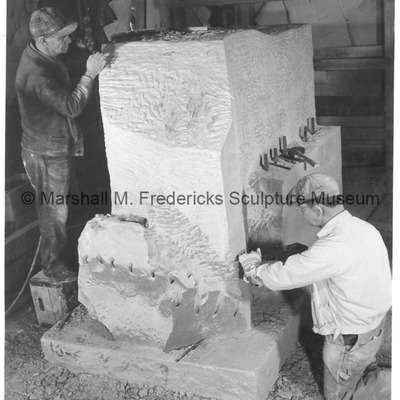 Designed by Victor Gruen, Northland is one of the world's first shopping centers. 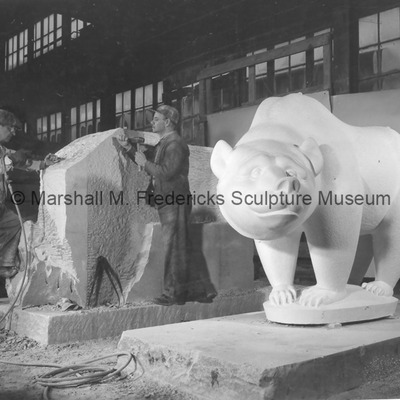 Stone carvers carving out the rough form of the bear for "The Boy and Bear" from limestone for Northland Shopping Center in Southfield, Michigan. 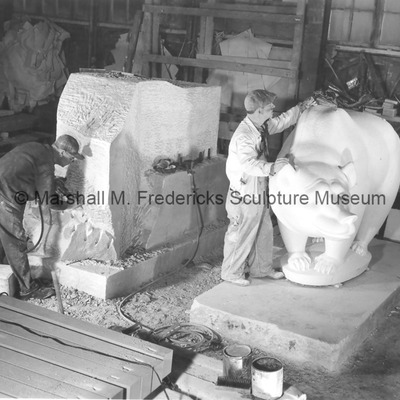 Designed by Victor Gruen, Northland is one of the world's first shopping centers.